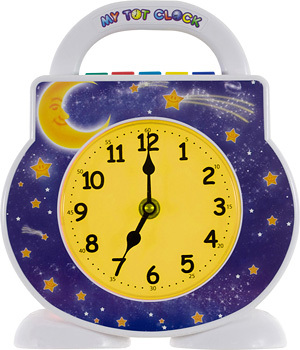 The Original My Tot Clock comes with the "Welcome To Children's Dreamland" Tot Clock Treasure, the "Night Sky" Faceplate, and AC Adapter. Measures 9" x 7.5" x 2.25". USED clocks carry a 6-month warranty.